While businesses are always on the lookout for leads that they can collaborate with to boost their business, using a competitive lead generation service can ensure that such leads do come your way. Merchant Financing Leads is a well-known industry leader that helps provide targeted leads by using their best industrial practices and techniques. Below are the methods, programs, and strategies they adopt to get you the leads you desire and to also give your business the push it needs. 1) Pay per Call Direct Mail Leads: Merchant Financing Leads generate qualified inbound calls from business owners who extract a minimum of $350,000 in annual sales and have also been in business for more than a year. These leads are priced on a Pay per Call basis and a minimum number of calls are guaranteed with every campaign. 2) UCC Lists: UCC lists have been rightly called the hottest and most effective telemarketing lists for generating merchant cash advance leads. These lists are of actual people who have availed advances in the past. You can select the time frame from when these advances were taken and use the information to generate leads. 3) Business Owner Lists: Nationwide coverage of business-to-business lists targeting small business owners, who process $10,000 or more in credit card receipts every month, is also provided. • Special Event Pieces- Super bowl, World Series, Kentucky Derby, etc. • From the inbounds, you should be able to get 25—35 applications. • For every 100 inbound calls, you should expect to fund 3—10 deals. • Determine the number of leads you need and share your company name and address for the mail piece. Share a phone number to direct all inbound calls. The phone number is preferably to a hunt group. • We will create an account for you and send you the invoice to fund your account. You need to pay the invoice to fund your account and begin the process. • Upon payment, we create a custom Mail Piece specific for your company and assign an 800 Call Tracking number. • Our direct mailers are always dropped first class on Fridays to ensure calls start the following Monday or Tuesday. • Allow 3-5 days for the initial set up. This allows time to create and approve your mail piece, compile the data, and set up call tracking. Follow up campaigns can be fulfilled within 48 hours. SEE ALSO: UCC Data for Quality Merchant Cash Advance Leads! Using these practices and programs, we ensure that you will be able to yield the desired returns on your investment. You no longer need to spend countless hours and heaps of money together on your business loan marketing efforts to generate effective leads. Just reach us on www.merchantfinancingleads.com and get your business up and running! 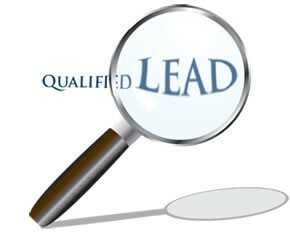 Previous Previous post: How Lead Generation Services Can Help You Get Ahead of the Game?